My Honest Scentbird Review: Is Scentbird Worth It? This post was not sponsored by Scentbird nor was I compensated for writing this article. All opinions expressed in this post are my own. 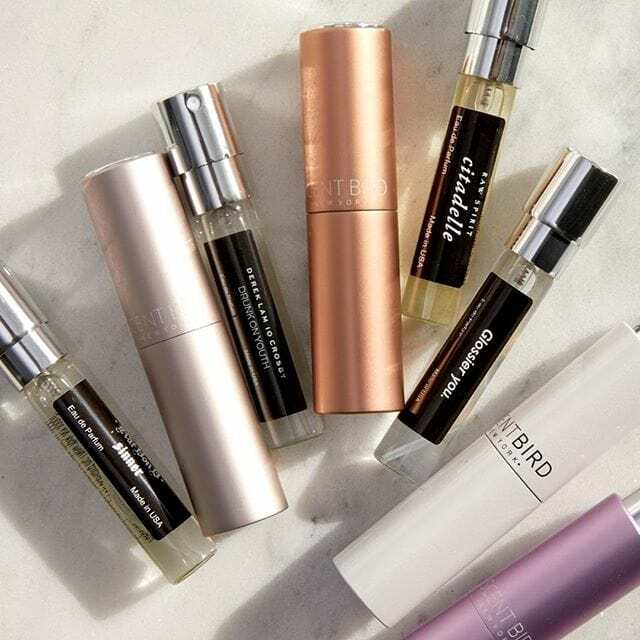 If you love fragrances, you’ve probably heard about Scentbird and wondered about the benefits of having a perfume or fragrance subscription. I know, I’ve been there! I love fragrances but hate being tied down to one bottle. Or worse spending hundreds of dollars just to stock up on a few scents at a time. The reviews I read about other people’s subscription to Scentbird beauty box scared me. I looked at my account and reflected on my experience using this monthly subscription membership site. We all know that reviews can be skewed to the left or to the right against or in favor of a company. I figured now was the time to talk about my Scentbird review. 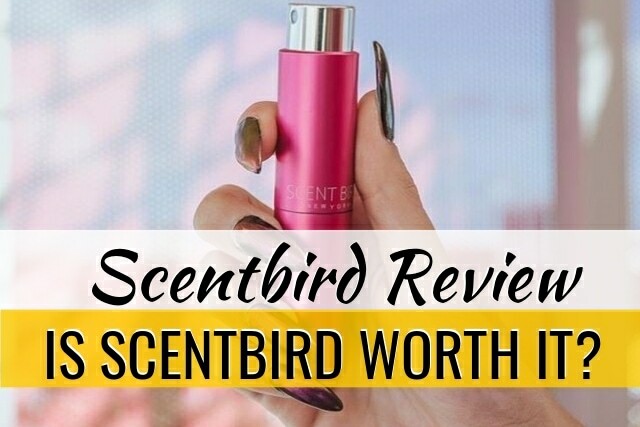 This review post should help YOU decide if Scentbird is worth your money (or not!). Tell me more, Louisa! 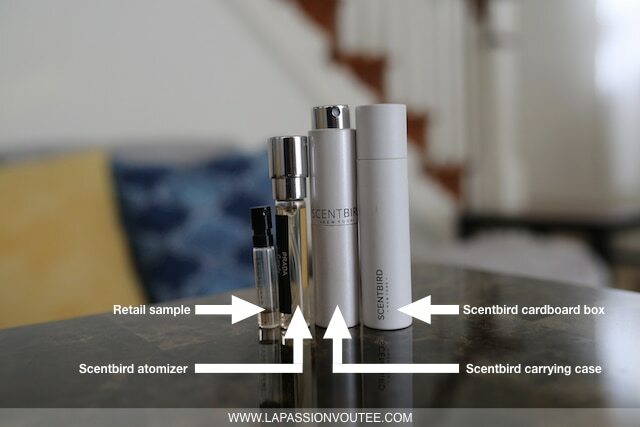 What is Scentbird and how does Scentbird work? Scentbird is a perfume subscription company created as an alternative to spending too much on full bottles of expensive designer perfumes that end up used. This fragrance subscription allows gals and boys to try a wide selection of authentic perfumes before shelling out the money on full bottles of fragrances including Dolce & Gabbana and DKNY. If you’re in the beginning phases of trying out and experimenting with different fragrances and unsure what you (or a friend) might like, Scentbird is a great way to get started on a budget. Choose your Subscription – As a new member, you get a month’s supply of an 8ml (0.27 oz) atomizer of a perfume or cologne of your choice. This is an equivalent of a 31-day supply if you use 4 sprays per day. And a free refillable case with your first order perfect for travel. No taxes or shipping fees for just $14.95/month. Pick your Scent – Choose your perfume selection from over 450+ designers and niche fragrances. Not sure what you want? Choose from one of the best-sellers or sort by scent type, style or occasion. Alternatively, Scentbird will send you the perfume of the month if you leave your queue empty. Receive your Scent – Every month or at your selected delivery frequency, Scentbird will deliver your fragrance to your doorstep with a free refillable case with your first order even if you live in Alaska (true story). DOES SCENTBIRD CARRY AUTHENTIC FRAGRANCES? According to the Scentbird’s website, yes. Only 100% authentic fragrances provided by authorized vendors or directly from the brands are used to fill subscription boxes (source). Based on my 4+ years of using Scentbird, I have not had any issues with my beauty box. They last long and smell great. As a consumer, I do not believe they sell fake, knock-off, or imitation scents. HOW DO I SIGN UP FOR SCENTBIRD? Signing up for a Scentbird subscription is pretty straightforward. Go to the Scentbird website here and click the “Get Started” button. And that’s it! You also have the option to subscribe on an every-other-month or every-three-months basis. I am currently on the $14.95 per month package and chose a frequency of every three months. The beauty of Scentbird is that other than sales tax in certain states, there are no hidden fees or additional charges for shipping & handling. Pretty neat! CAN I BUY A PERFUME WITHOUT A SUBSCRIPTION? 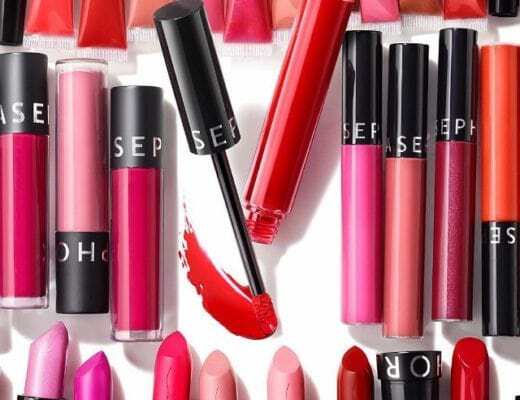 You can absolutely shop at Scentbird even if you don’t have a subscription. The Scentbird Shop frequently gets updated with new perfumes and colognes, including exclusive brands, Limited Edition fragrances, niche fragrances and more (source). Try before you buy aka no buyer’s remorse! Want to cancel your subscription? Your only options are to use a contact form or email [email protected] You can’t call to speak to anyone directly. Now, this wouldn’t be a problem if Scentbird responded promptly to inquiries from customers. In fact, the small hosting company I use for this blog responds to emails within a few hours and no direct line. 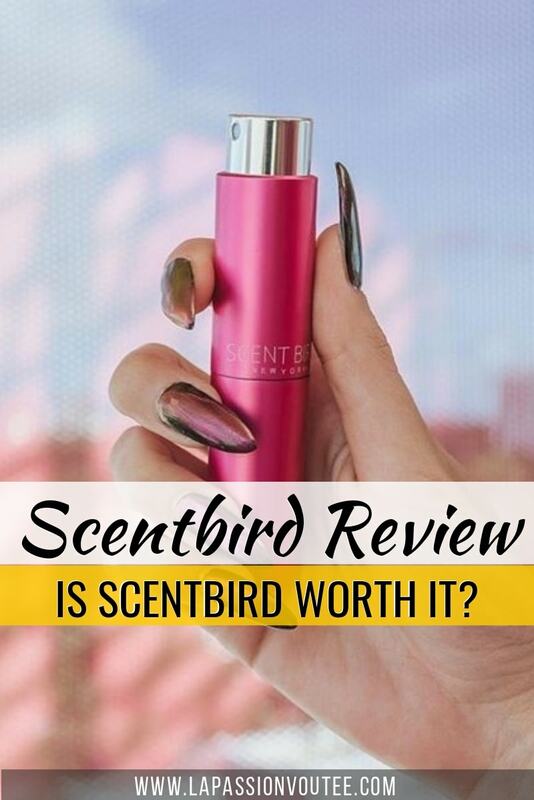 So this begs the question, is Scentbird worth it? The short answer is YES, Scentbird is worth it. The long answer is it depends on what you’re looking for. A simple search on BBB and Sitejabber reveals not-so-pleasant reviews of Scentbird with a majority of them related to shipping and delivery in 2018. That said, I’ve had a few shipping delays, but I attributed those to living in Alaska as packages typically take a few more days to get to me. Since moving to the East Coast, I’ve received one Scentbird package, and it arrived on time. Scentbird is an excellent option for niche or hard to sample designer fragrances (like Amouage and Tom Ford). You get a 0.27 oz tub filled with decant that is several times bigger than traditional perfume samples (0.05 oz). Here’s a side-by-side of my most recent Scentbird atomizer next to a retail sample. 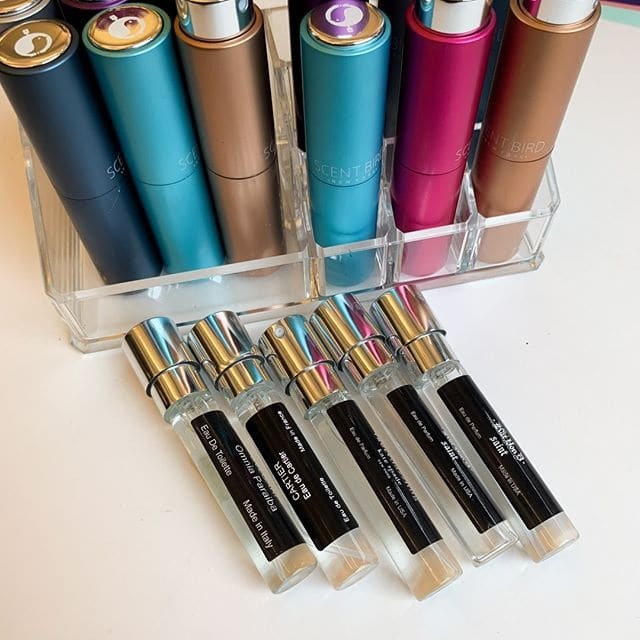 Final thoughts: Scentbird is an exciting way to try out a month’s supply of luxury and niche perfumes at a price that won’t break your budget every month or at a frequency (every-other-month, every 3 months – like me, or release the hold on your membership only when you’re ready for a new scent) that works for you. 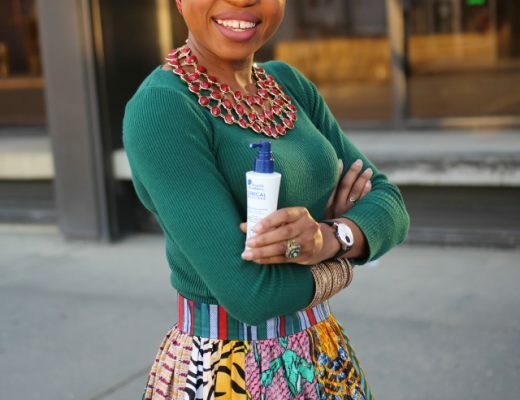 The brand’s growing selection of skincare products, makeup, and candles collection is a perk that would keep subscribers a large variety to choose from. As with most things in life, there are risks associated with anything we do. Some of the risks related to Scentbird are highlighted above. If these don’t bother you, then, by all means, give this beauty box subscription a try. However, if you’re interested in experimenting with new and authentic scents, Scentbird is worth every dime. 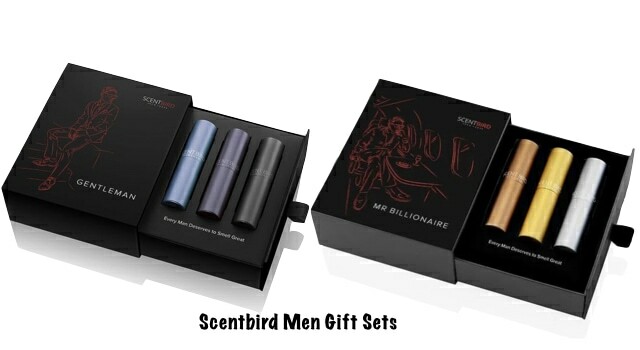 Scentbird is a great one-stop shop for all your fragrance needs for men and women that would otherwise break the bank. If you decide to purchase after clicking on any of my links, I’ll make a small commission at no extra cost to you. Your support helps keep this blog running. Thank you! How can I get a Scentbird free trial? There is currently no free trial to Scentbird. However, you can click this link to save 25% off your first order. What are the best Scentbird perfumes? You can find the full and most current best Scentbird perfumers here. How long does it take to get your Scentbird package? Per the Scentbird website, your very first Scentbird package should ship within a few days of your subscription order. Expect it to arrive 7 to 10 days after shipping (source). Subsequent scent boxes should ship out on the 15th of each month. What is a niche cologne? 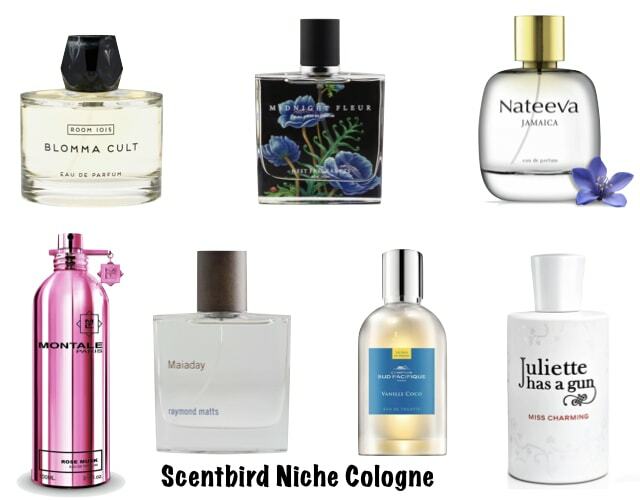 Niche cologne refers to small scale boutique artisanal perfume studios whose presence in mainstream retail stores is minimal or non-existent. Thus, you might find these scents at a perfume specialist or high-end fragrance boutique (source). When you wear a niche perfume, you wear the story of the perfumer’s ingenuity in a tangible form (source). Since writing this post, I’ve gotten a few requests to review Scentbox. Scentbox is similar to Scentbird but a little different. Stay tuned for my scentbird vs scentbox review post coming soon. In the meantime, you can save 35% off your first Scentbox with code SCENT35! What’s in my bag? Date Nigh Edition! I think Scentbird is such a great subscription service if you like to change up your perfume often! I have been wearing the same scent for years so I like to buy mine by the LARGE bottles…LOL!! I never tried Scentbird but I heard good things about it. I would love to check it out one day for myself. wow! What a great idea! I think Scentbird worth it and I would like to subscribe for their gift boxes! I have not tried their gift boxes yet but I bet this a nice package too. What a neat idea. I’m always scared to try different scent because I don’t want to be stuck with an $$ bottle that I don’t like. This sounds like a great idea. I adore my Scentbird. I love to change up my perfumes, but at $100 or more a bottle, that is not feasible for me. Scentbird allows me to try a scent before I make the commitment to buy. I bet that’s what the founders had in mind too. I’ve never heard of Scent Bird before. It sounds very interesting. I’m definitely going to check it out. I had never heard of Scentbird before this post. It seems like a really cool subscription service. I’ve enjoyed having the subscription. Let me know what you think if you end up trying it. I appreciate that you shared the pros and cons of a Scentbird subscription. I don’t see that enough in product reviews these days. Thank you! I have heard of these before and love subscription boxes. How fun that they have such a wide variety of products! Scentbird definitely grown larger with their offerings since I joined years back. I love the idea of a fragrance subscription and always enjoy sampling new scents. 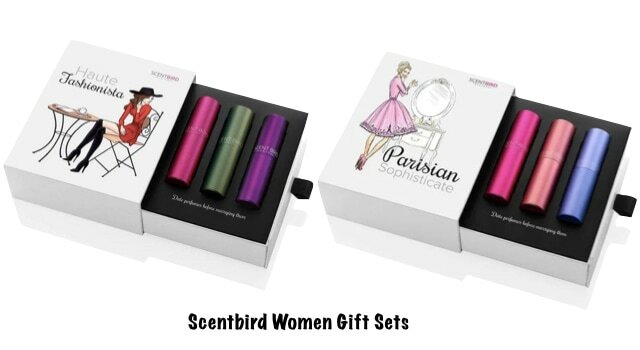 How wonderful that Scentbird offers gift sets and niche colognes too! This sounds like it would be a good idea for someone wanting to try multiple fragrances but not wanting to purchase full sized quantities unless it’s sure to be a favorite. My wife might like this. Great point and one of the reasons I joined Scentbird. I have to look into trying this. I love the option of trying new scents on a regular basis. Let me know what you think once you get a chance to try scentbird. I have actually been on the lookout for some new perfumes. The subscription to different perfumes and I could definitely help me make a decision much easier. I will have to check into this. Let me know what you think after giving Scentbird a try. I haven’t heard of it but I think it would make wonderful Christmas Gifts for the ladies on my Gift Giving List. As well as a nice Valentines Day Gift for myself. If someone would like to purchase it for me. The scentbrid program sounds like a nice one. I need to check it out. I like the idea that we can get lot variety of scents. ive never heard of this before but i love your review on all these great products! 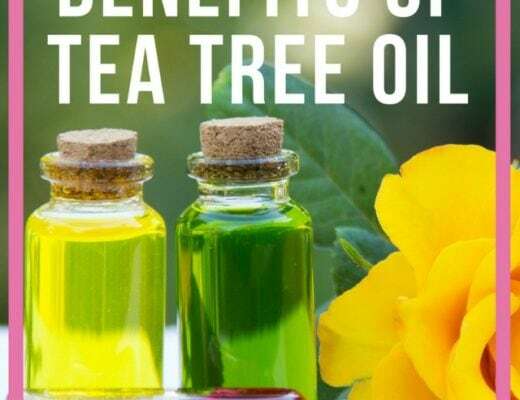 this would be a great subscription box for a girlfriend of mine and she would get a kick out of it getting so many of these great products right to her door- especially if it takes a few days to get! How interesting. I’ve actually never heard of them before. I think my daughter would like it. She’s all about trying out new perfumes. I have never heard of this company or this subscription box before today. Will have to check into the prices and different scents they carry. I have heard so many great things about these.